On Wednesday's Backchat, are petrol driven cars on the way out? Governments and manufacturers around the world are moving fast towards a future with only electric or hybrid vehicles. Many states in America simply want to ban the sale of petrol eventually. In Norway already a quarter of cars are powered by electricity generated from hydropower. Is the internal combustion engine really doomed? What will a future of electric cars look like? Where will the energy come from, and the raw materials? How will they charge, and how is Hong Kong faring? Do we need economic nudges to make it happen? Will geopolitics change with the technology? 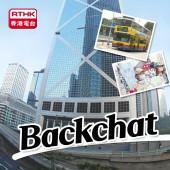 Call us to comment on 23388266 or email backchat@rthk.hk.